Whether you are recovering from a surgery or an injury, we can create a customized treatment plan to help you get back on your feet. Your body has an amazing ability to heal itself. Often times surgery can be avoided through guided strengthening and stretching exercises. Let Caldwell Physical Therapy create a customized recovery plan for you. At Caldwell Physical Therapy, we are dedicated to helping you achieve your rehabilitation goals. Our mission is to provide exceptional, professional, compassionate, individualized care that will exceed your expectations in a comfortable, warm, and friendly environment. We will establish a customized treatment plan specifically designed to help you regain lost function and mobility as a result of injury, surgery or illness. We will communicate often with your referring physician to discuss your rehabilitation progress. 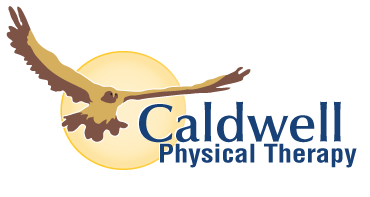 Caldwell Physical Therapy is privately owned and operated by Rulin J. Hawks, P.T. Click here to meet our staff. Your home exercise program is a very important part of your rehabilitation. The more "therapy" you do at home, on your own, the faster you will recover.